Nickel plated silver key ring can easily be fastened to a belt, handbag or keyring. 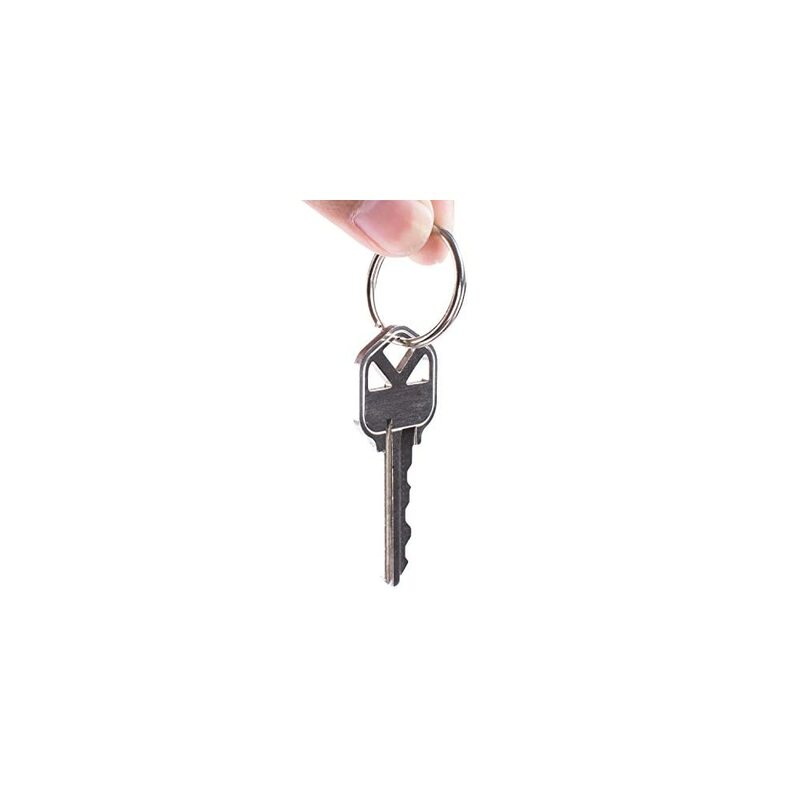 With an innovative design that is functional, practical and subtle accessory for auto and home keys. Also makes a great gift for everyone to have. 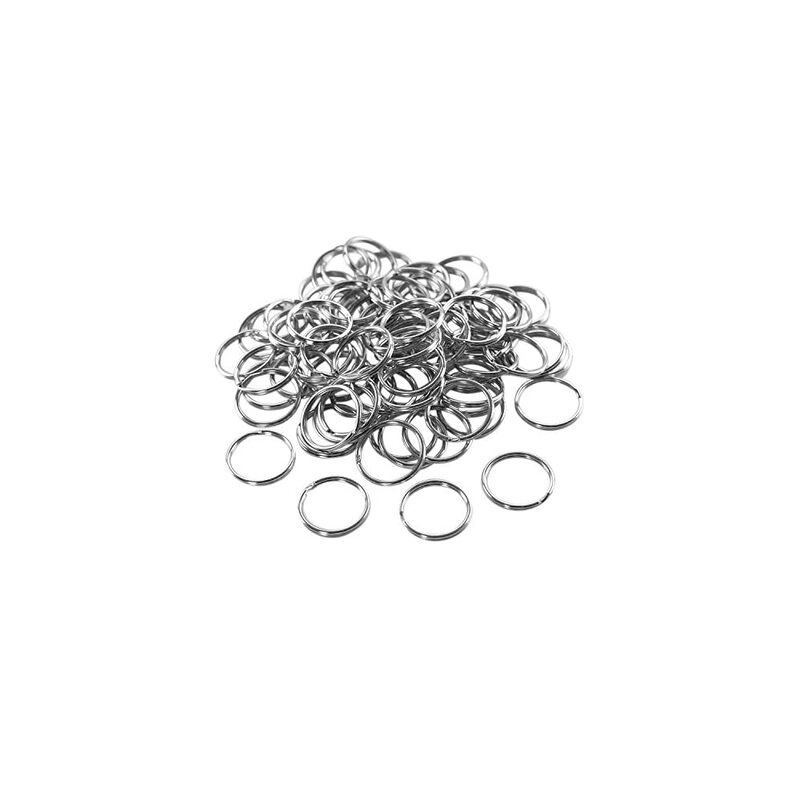 Will not add excessive bulk like most buckle carabiners. An item that everyone uses, making key chains is great for giving away as gifts or promotional items and for selling as handmade crafts. 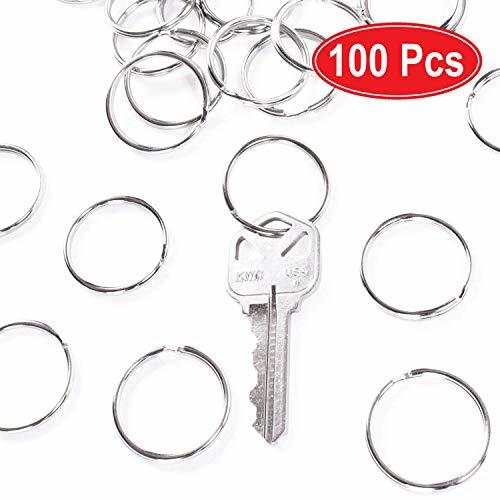 Great idea for a key ring design, these metal split keychain ring will help make key chains that are sure to impress your family, friends, and customers. A great storage for all types of sized keys with or without key cap covers. 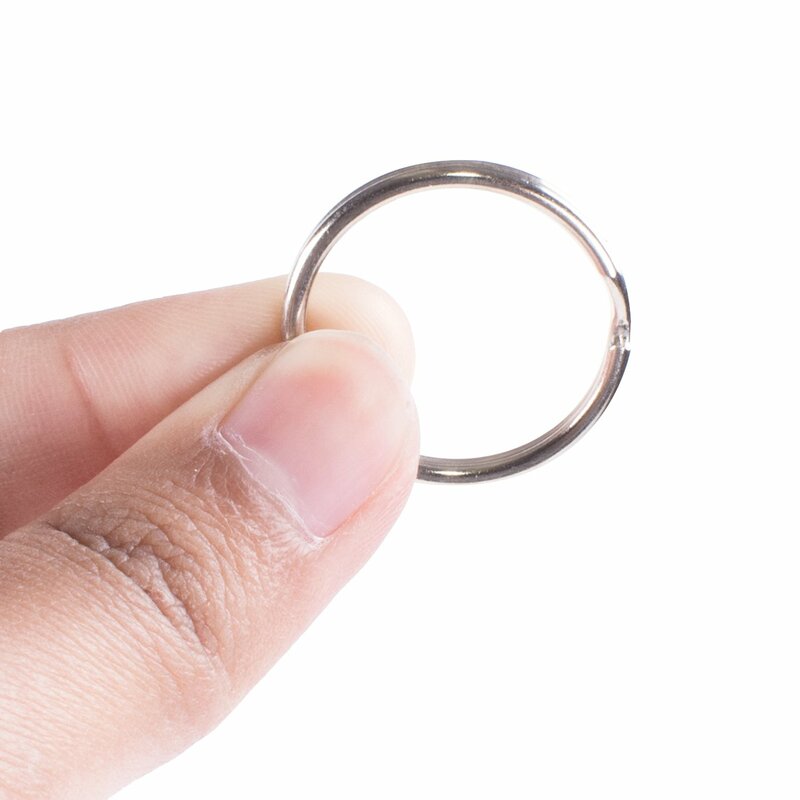 You do not need to worry about losing them with this ring spare attachment. Add one to a pocket knife, ID badge holder, plastic card holders, usb drive and bottle opener. A necessary combination for DIY clip lanyards and fashionable jewelry making pieces. 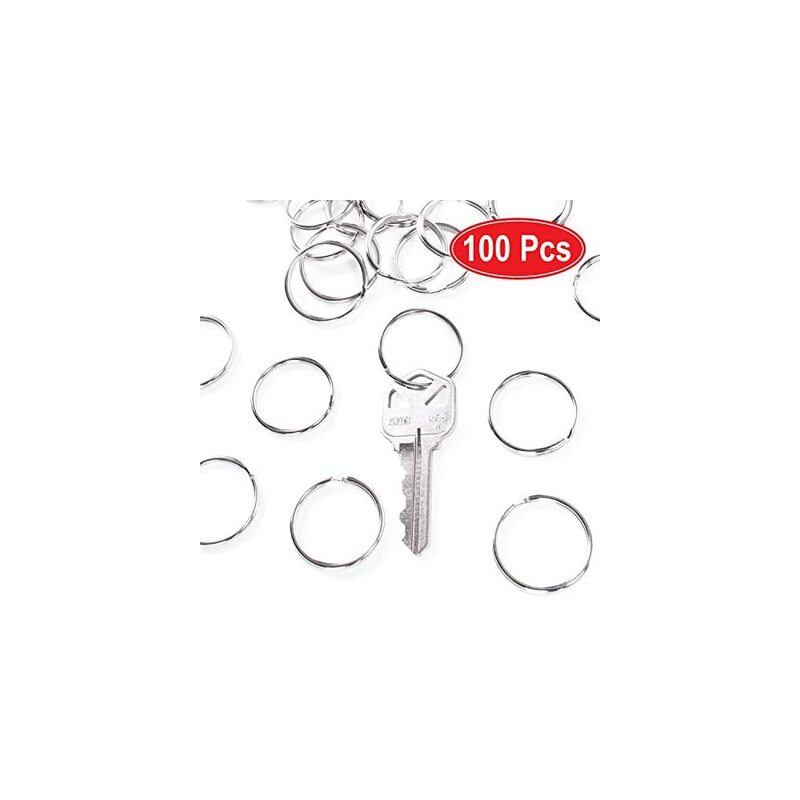 Suitable for home, car, office attachment and DIY accessories; Use to organize small keys, hang cards, ID tags and other hand tool, make arts and crafts project, etc. 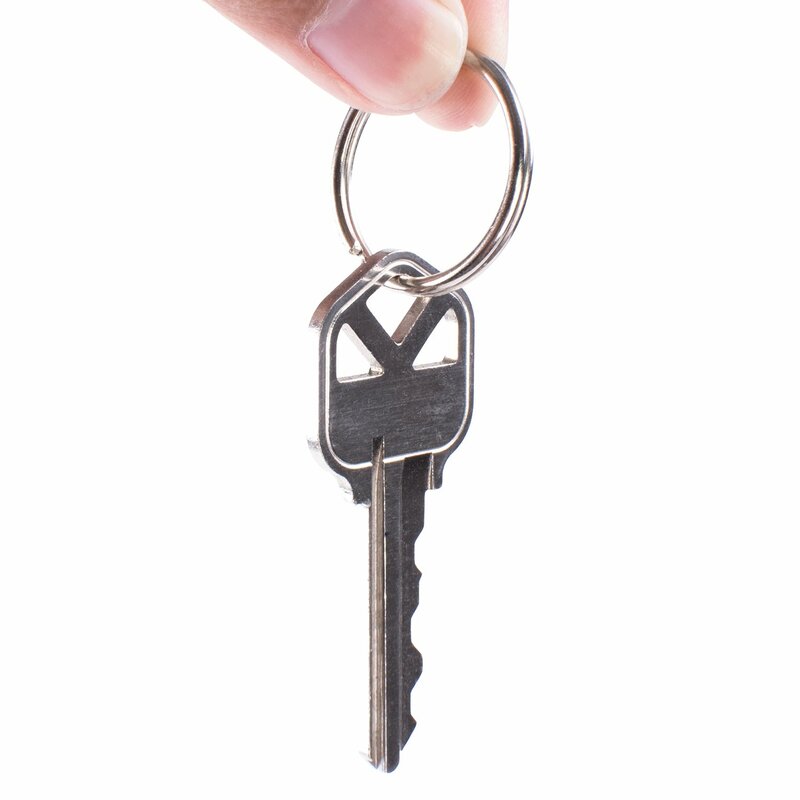 This classic design is a great and simple solution to separating your keys when in a rush. A compact key holder and keychain organizer is a must have to keep keys safe and manageable at all times. Makes a practical gift for friends and family to have at all times. Ideal for hanging small flashlights, fobs, phone finder, tags, pliers, and other hand tools. The can even be used for hanging photos in a dark room for drying. The uses are endless for these key hangers. NOTICE: The “Super Z Outlet” seller is the only authorized seller, we do not sell wholesale so there should be NO other sellers; Any other sellers are illegally selling their own products using our registered Trademarked company name. In this listing, purchasing from any seller other than “Super Z Outlet” will result in a potentially faulty product that may be unsafe and cause injury. Please be sure to purchase this product from the “Super Z Outlet” seller to avoid any problems with your product and to ensure both your safety and satisfaction. Manufacturer’s warranty included only when purchased from Super Z Outlet. Easy and convenient to carry, organize your keys and decorate your gadgets. 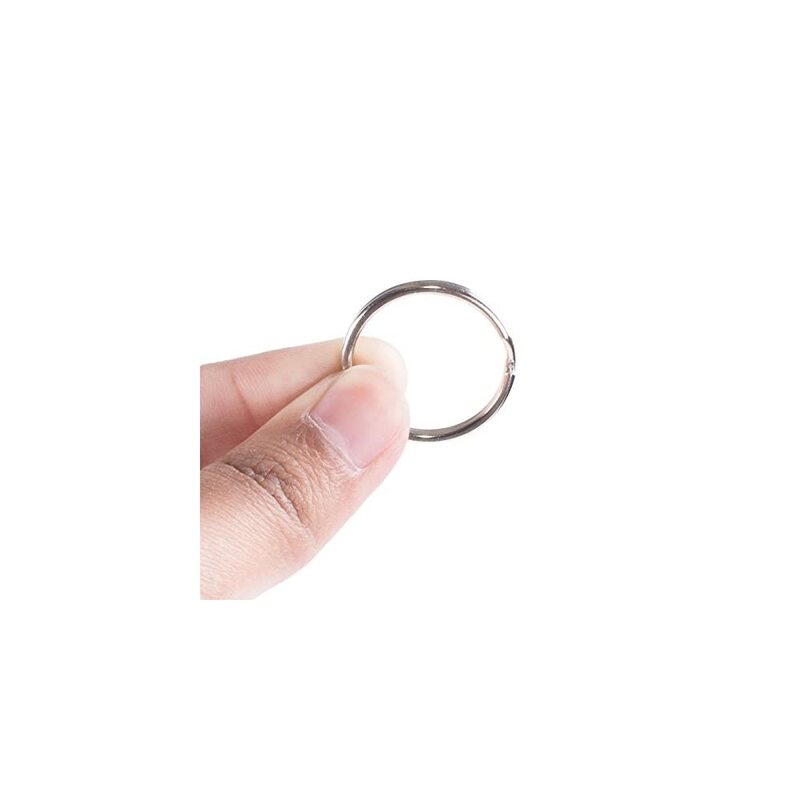 The metal key ring is round and keeps keys securely closed, providing strong fastening and no need to worry about your keys falling apart. 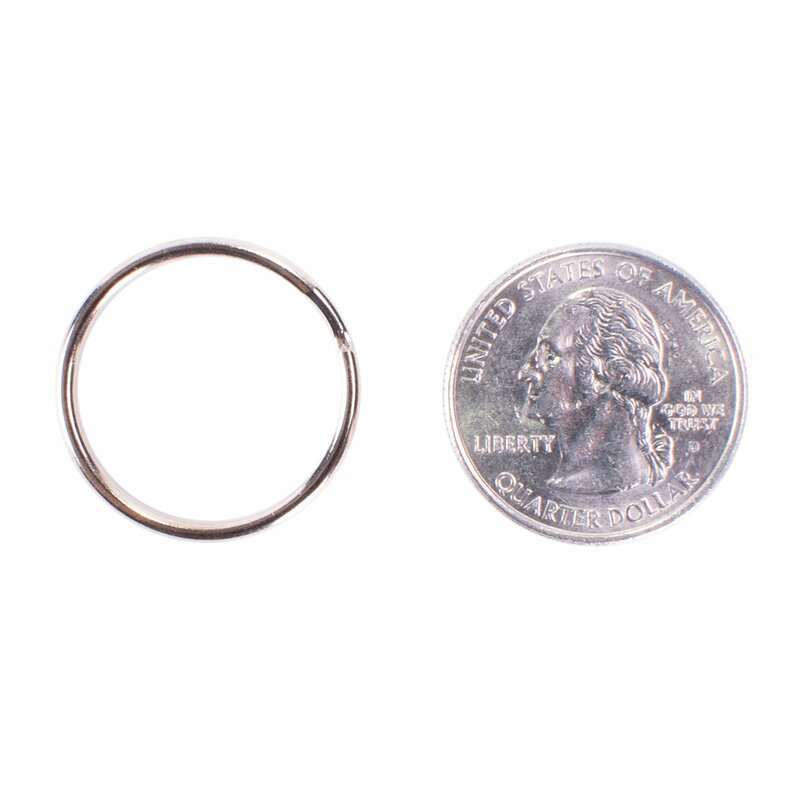 These circular silver nickel plated rings only measure at 1″ inch (25mm) in diameter. 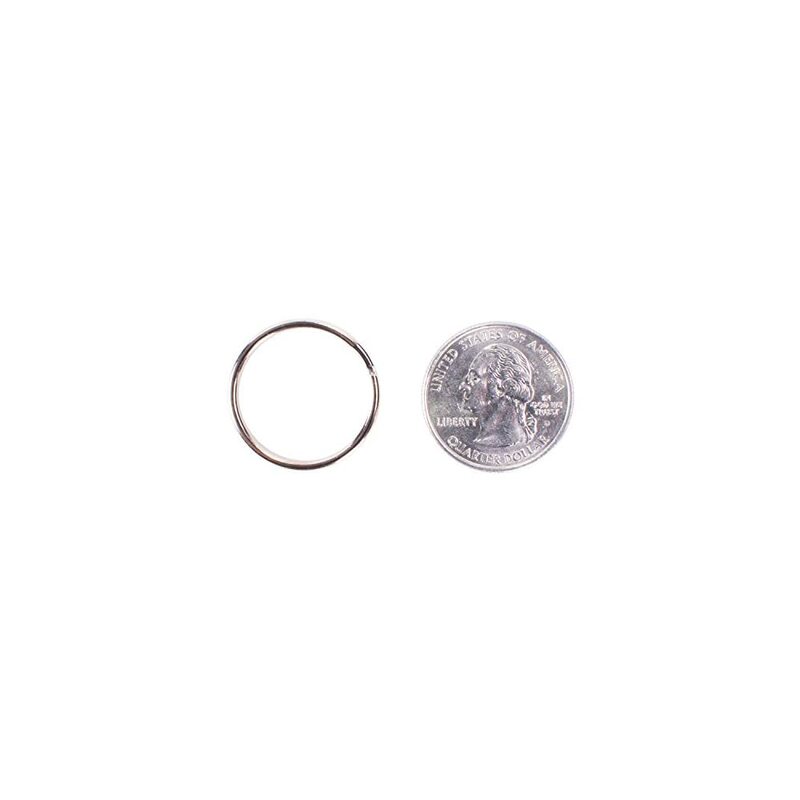 Light weight that adds little to no bulk to keychains. 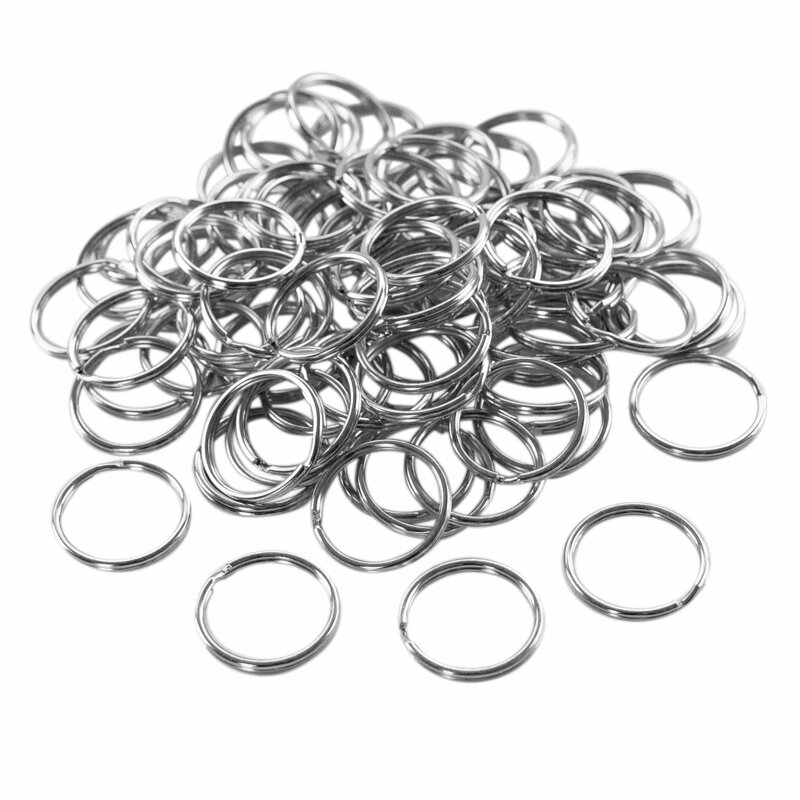 i’d wait for a discount but these on hand make for quick keyrings, lip balm holders, towel holders, bag connectors, tool rings, etc. CERTAIN CONTENT THAT APPEARS ON MYPOINTSAVER.COM COMES FROM AMAZON SERVICES LLC. THIS CONTENT IS PROVIDED 'AS IS' AND IS SUBJECT TO CHANGE OR REMOVAL AT ANY TIME. carly_brooke_steffen has just earned 7438 MPS points from a PLATINUM chest! vamplady24 has just earned 450 MPS points from a SILVER chest! trumps1 has just earned 108,000 MPS points and 0.06 Tokens from a MEGA offer (survey #366)! gtafrank has just earned 6142 MPS points from a GOLD chest! trumps1 has won the $2 Amazon.com Gift Card Auction (2019-04-20)! @just_me is victorious with a $5 win at Wheel of Prizes! petr_ka has just joined MyPointSaver. You can now view petr_ka's profile page to send a message or friend request. rana has just joined MyPointSaver. You can now view rana's profile page to send a message or friend request. trumps1 has just earned 240,000 MPS points and 0.14 Tokens from a MEGA offer (survey #366)! shivaji_shinde has just joined MyPointSaver. You can now view shivaji_shinde's profile page to send a message or friend request. cimi_cimi has just joined MyPointSaver. You can now view cimi_cimi's profile page to send a message or friend request. msalyce_gonzalez has just earned 256 MPS points from a BRONZE chest!